Ends on Fri, November 23 2018 1:58 PM EST. “The first 5e “Classic Twist” adventure by Leave the Silver for a group of inexperienced characters. There’s really no place like home! Dorothy, Toto, and company in Oz playing out a “Classic Twist” adventure using Dungeons & Dragons 5e rules; The Gilded Road is not exactly that, but that story is clearly the inspiration. As has been noted before by many, The Wizard of Oz is the tale of a D&D adventuring party long before that game’s creators were born. Dorothy, her animal familiar, a scarecrow, a tin golem, and the comic-relief-lion on a mission where they combat winged monkeys and plants that can cast Sleep once per day all in the hopes of completing the king’s mission to invade a witch’s castle and commit witchicide (pythonissamicide?). For their service to the Kingdom, each receives a reward of great personal value. 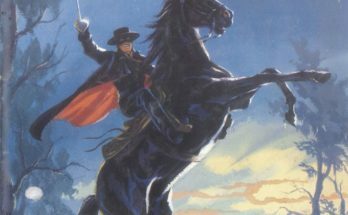 Using the D&D 5e System Reference Document, the public domain ideas behind L. Frank Baum and W. W. Denslow’s novel series, and their own interpretation, Leave the Silver has grown this interesting combination into a gaming series. Will it work at your gaming table? It depends on your table’s interest in Oz and your chops as a GM to make a known story into a thrilling game night. With that in mind, the idea of “The Gilded Road” could be a perfect fit for your gaming table. This crowdfunding campaign ends on Black Friday, November 23 2018 1:58 PM EST. You can support this Kickstarter campaign here. Ends on Wed, November 28 2018 9:32 AM EST. “A horror campaign setting for the 5th edition of world’s most famous roleplaying game. Lamp’s Light in Your Campaign: How to incorporate Lamp’s Light into an existing campaign such as those available Wizards of the Coast, Kobold Press, and other publishers. New adventures: Discordant Scriptures (a Lamp’s Light adventure for mid-level PCs). An alien intelligence has been drawn to the confluence of dissonant minds contained within Lamp’s Light. Administrator Rose, at the behest of her patron, has urged the residents of the facility to record their mad dreams within the pages of a dream journal. Rose believes that the collected journals contain within them the knowledge needed to release her patron from its imprisonment on another plane. Tabula Rosa (a Lamp’s Light adventure for low level PCs) begins with the players as unwilling patients and subjects of test experiments. They are quickly drawn into the intrigues of the asylum and must make difficult decisions if they are to escape. Lamp’s Light Sanitarium is a gothic Victorian campaign location with elements of steampunk. Think Victorian horror where you’re in a sanitarium using 5e rules with the benefit of an optional sanity system. While this is designed for 5e, there’s a chapter in LLS detailing how to incorporate this world into your campaigns from Kobold Press and Frog God Games, as well as, of course, Wizards of the Coast. 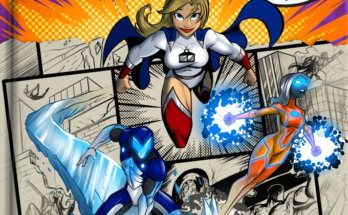 Expect 130 pages of story, art, and maps that exceed your expectations. While this is the first Kickstarter from Saturday Morning Scenarios this is not the first RPG from SMS’ creator, Matt Corley. As a lead designer for Kobold Press, he’s behind KP’s recent Kickstarter success, Tales of the Old Margreve, for D&D 5e. This is to say that SMS is more than capable of delivering a fun, professional, and timely product. What makes this an interesting idea is that the game builds on D&D, which is normally a sword and sorcery fantasy setting, yet brings the adventure far forward, fantasy-time-wise. Will this fit in your world? Normally that would be a worry, but the aforementioned chapter on how to blend it should help to make this setting feel seamless. That combined with Matt’s pedigree means this will be a dark addition to your gaming table. This crowdfunding campaign ends on Wednesday, November 28 2018 9:32 AM EST. You can support this Kickstarter campaign here. Ends on Fri, November 30 2018 12:00 AM EST. “The Fifth Edition Dungeons & Dragons players’ guide to the Grim and the Wicked campaign. After the successful Kickstarter funding of the Fifth Edition Grim and the Wicked campaign in August 2018, one of the most common questions sent to us has been, “will there be a players’ guide?” During that campaign, we had always planned to release the guide as a stretch goal, however, we didn’t reach the level of funding required to unlock it. 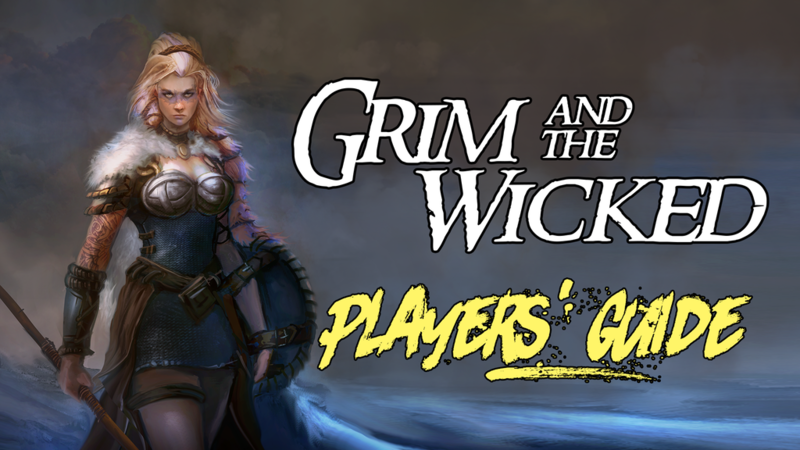 Now, we’re asking for your help to bring the Grim and the Wicked Players’ Guide to life! New magic item attunement options (as seen on Delvers’ Society, Season 2). Do you own the Grim and the Wicked campaign? If so, you know the quality of GeoQuester Gaming’s products and can gauge your level of interest. If not, here’s the overview: You’re getting 256 pages including 7 new races, additional subraces, gunslinger and witch classes, archetypes, feats, spells, and more, all designed for Dungeons & Dragons 5e. Combined with original art by RM Shaffer and Dean Spencer, and layouts by Rick Hershey (Fat Goblin Games), this sounds promising, but the lock is that it’s the second product for this setting. Expanding on an established setting that’s broadcast on Twitch, this product does exactly what the OGL intended, it grows an existing work to create a better game. 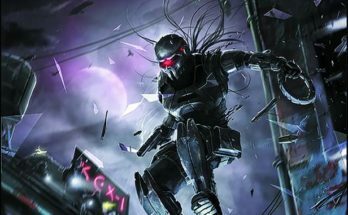 Interested in an archetype preview? Check out the Oath of the Crusader paladin here. This crowdfunding campaign ends on Friday, November 30 2018 12:00 AM EST. You can support this Kickstarter campaign here.